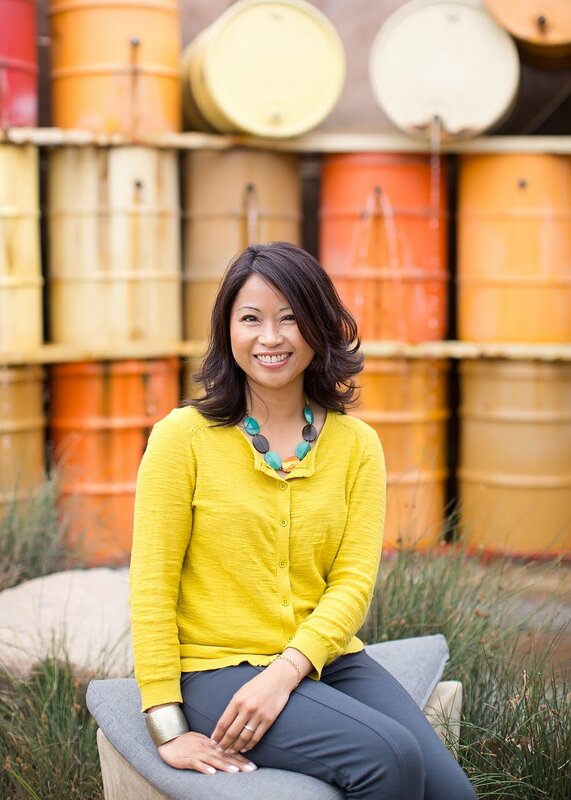 Living in Southern California means nearly perfect weather year round! With spring in the air, and summer quickly approaching, it's time to head outdoors. 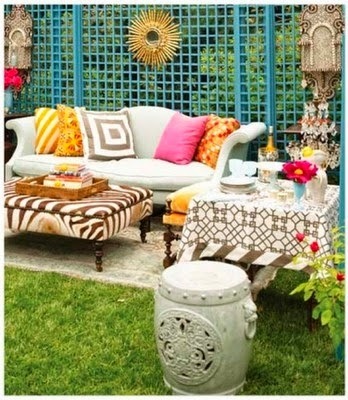 Now is the perfect time to start sprucing up your outdoor spaces to get it ready for summer entertaining! 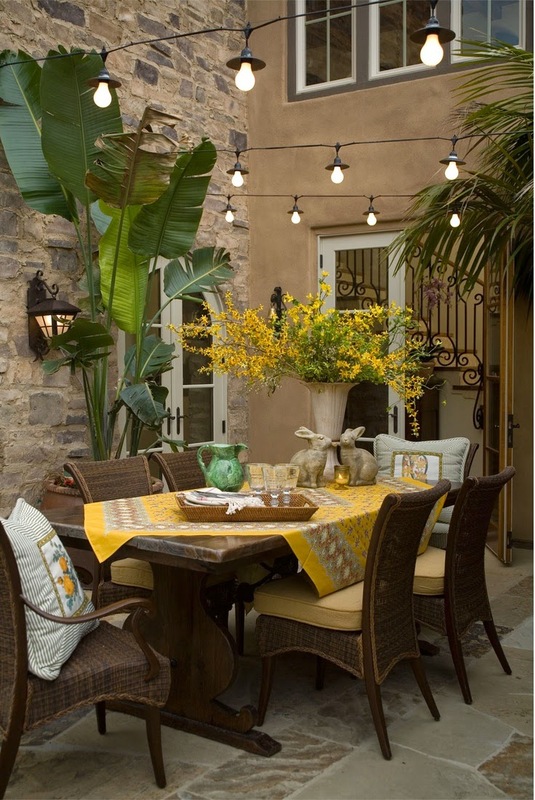 #1 LIGHT IT UP: Install some overhead string lights. 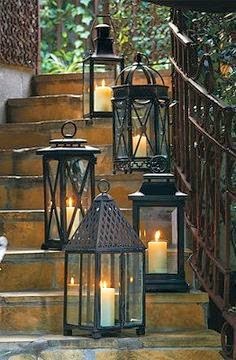 Light lanterns, tealights, torches, and/or pillar candles. Lighting makes all the difference. 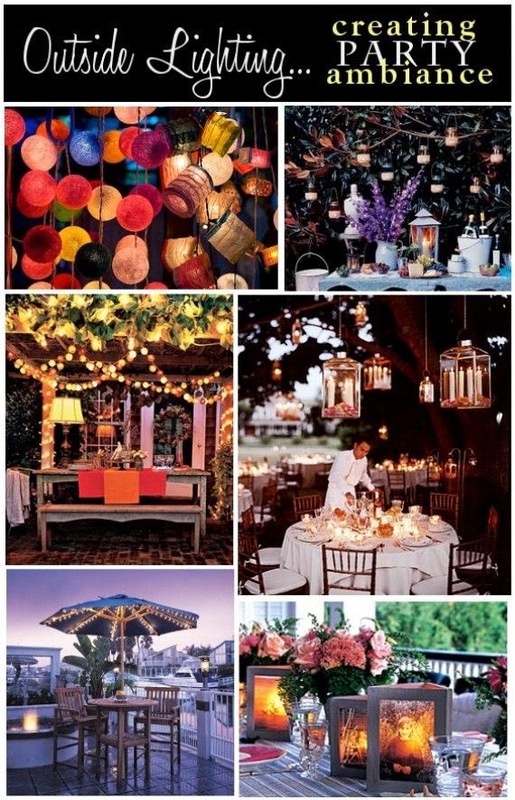 It sets the ambiance that creates the mood for your guests. 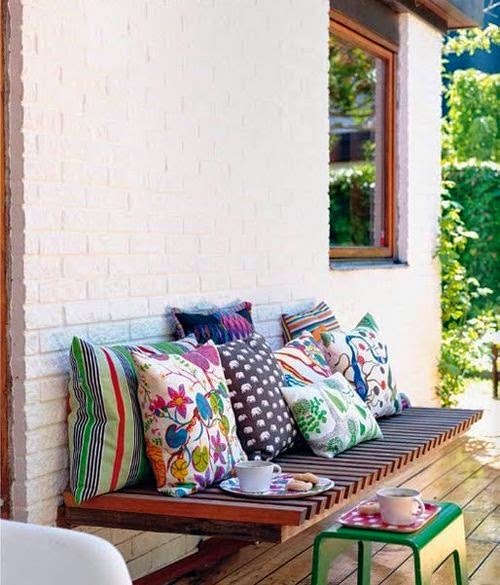 #2 BRING IN THE COLOR: Throw some bold-hued pillows onto your patio seating. 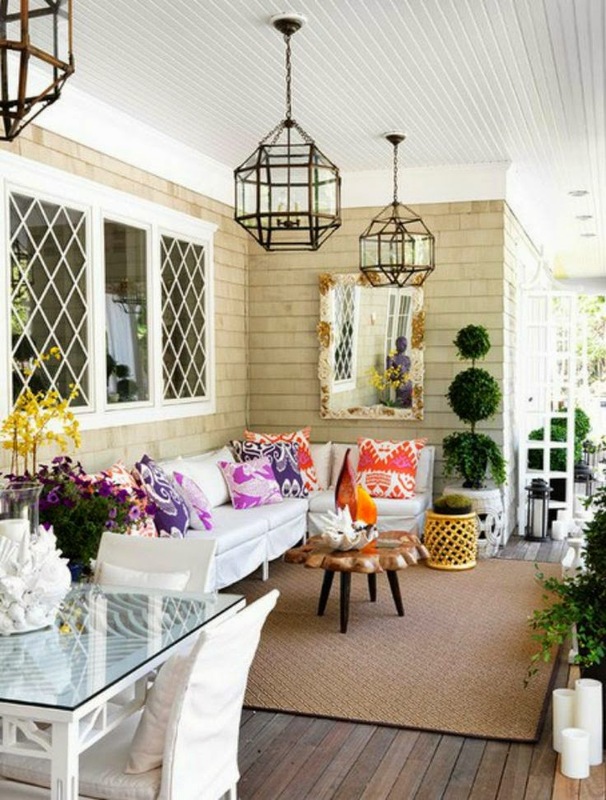 Bring in coordinating accessories, like a tablecloth or dishes. 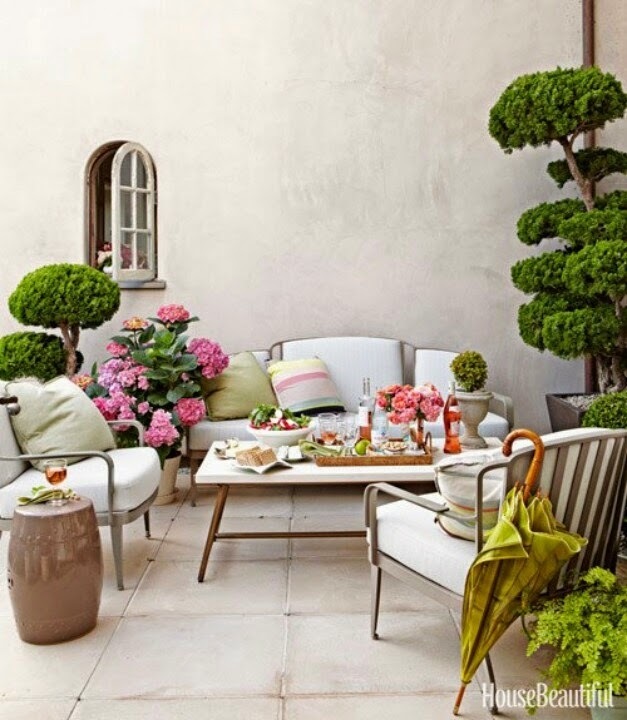 Add colorful plants and flowers to the seating and dining areas. 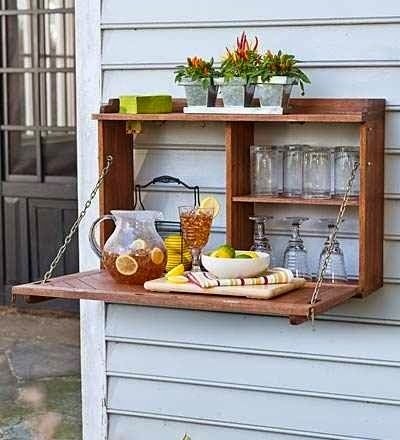 #3 SET THE BAR: You don't need an outdoor kitchen area or actual bar furniture to have a bar. 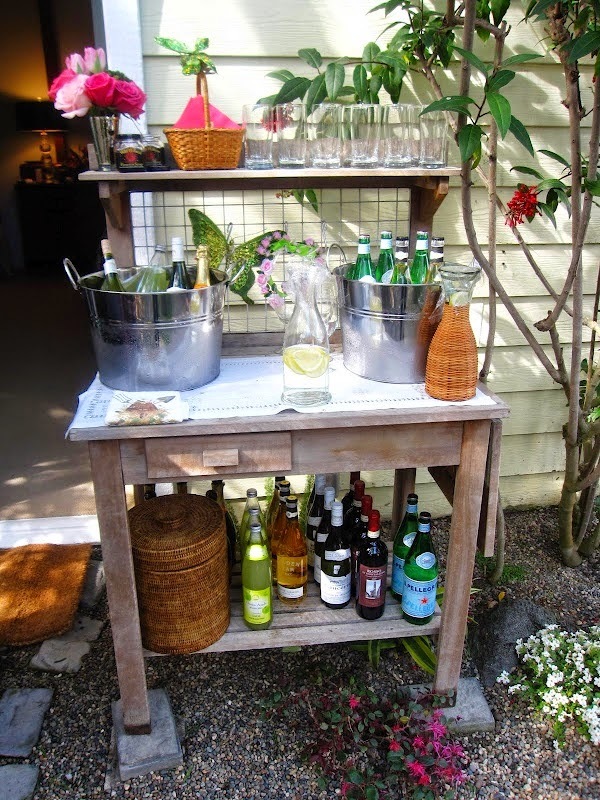 Use a portable trolley, revamp a potting shed, or mount a DIY bar like the one pictured below! Any table surface would work fine. Stock it with glasses, napkins, beverages, bar tools, etc. 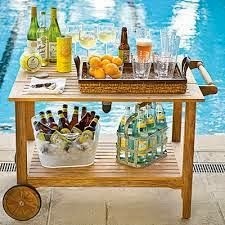 Let the guests help themselves to drinks!